KwaZulu-Natal; epiphytica on the surface of a brown alga. Frederic Leliaert. © Frederik Leliaert (Frederik.Leliaert@ugent.be). Published in: Scagel, R.F. (1962). The genus Dasyclonium J. Agardh. Canadian Journal of Botany 40: 1017-1040, 58 figs, 1 table, Plates I-IV. The type species (holotype) of the genus Dasyclonium is Dasyclonium acicarpum J.Agardh. 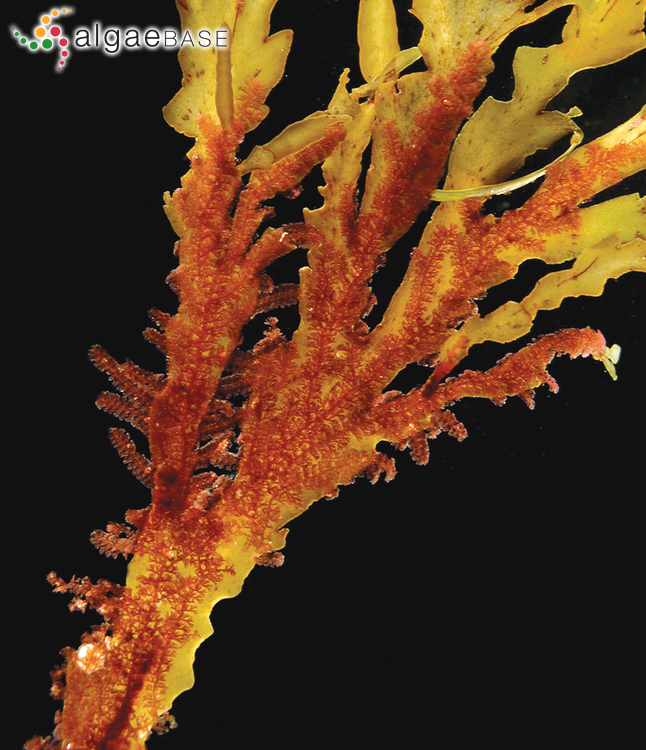 Type locality: Algoa Bay, Cape Province, South Africa (Silva, Basson & Moe 1996: 488).